By Teresa Ortiz. 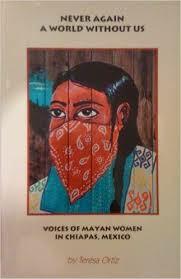 Interviews with several Zapatista women bring to life the problems of families moving to the Lacandon Jungle in the late 1960’s, the inadequacies of the government to meet the need of peasants, and the corruption of land owners and other capitalists. Read more.